I wanted to share a project I made for GreenCraft Magazine. It’s a cardboard portfolio for pretty papers, important papers, artwork, or whatever you like. Above is my portfolio before I sent it off almost a year ago. I had almost forgotten what it looked liked. 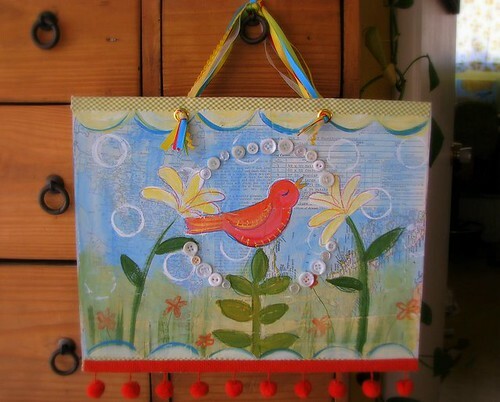 It is completely made of cardboard, cereal box board, maps and old papers and scraps of ribbon, fabric, fringe and buttons. Oh, and a bit of paint and glue. I really love this magazine. Beautiful photographs, and so many wonderful ideas and contributors. Congratulations! I’ll have to pick up a copy! Congrats. That is great and I hope you got your Somerset Home by now! 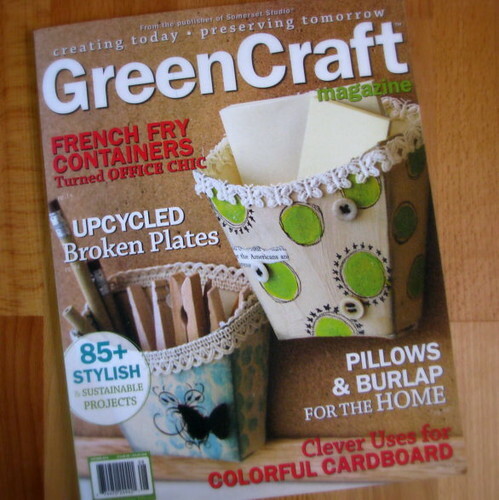 This is the first issue of GreenCraft I have purchased, and I fell in love with your portfolio. 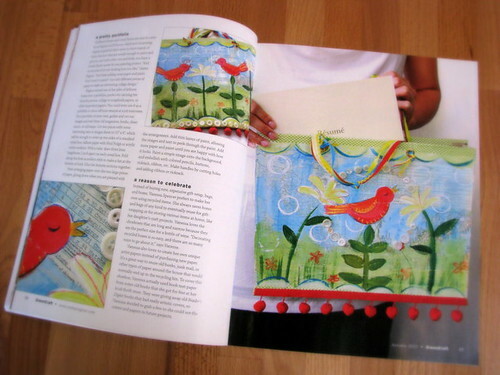 Alas, I am a visual crafter, and the instructions in the mag aren’t detailed enough for me to follow. Is there any way to get a more step-by-step set of instructions? I am getting hung up on the part where I am supposed to be drawing three lines, one inch apart. Thanks for sharing your inspiring green crafting! I was so pleased to see this portfolio on your site, I always purchase the Somerset magazines and saw your portfolio project in there. I just sat down yesterday and started a project based on your idea – now I happened upon your site and “viola” – there it was!! Truly awesome idea – I look forward to much more of your fantastic inspiration on your site! !